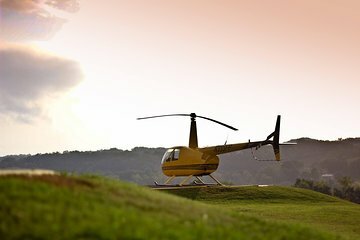 Fly high above the Great Smoky Mountains on this helicopter tour over the Tennessee countryside. From the urban layout of Gatlinburg to the undisturbed wilderness of the Great Smoky Mountains National Park, this tour will give you a good sense of the area over its 50 mile course. Plus, guided commentary from your pilot fills you in on the area's history and geology as you weave through the sky.